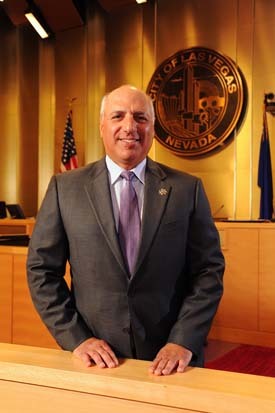 Veterans In Politics proudly announces Stavros Anthony Las Vegas City Councilman Ward 4. 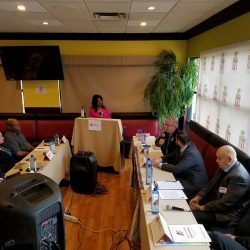 Tom Bush will discuss local politics in Clark County Nevada, both will appear as special guests on the Veterans In Politics internet video talk-show Saturday, February 9, 2019. It’s time we take back our courts! Our Nevada legislators will be receiving a Bill Draft Request to adopt 8 to 15 more Clark County District Court Judges for Family and Civil/Criminal Courts. That would include the same amount of Law Clerk’s, Judicial Executive Assistant, and Courtroom Marshals. On an annual average including salary and benefits this is what they make according to Transparent Nevada; Judge $251,932, Law Clerk, $137,650, Judicial Executive Assistant $100,000 and courtroom Marshal $67,517 totaling $557,099 for each department times that by (8) $4,456,792 and by (15) $8,356,485. Increasing our government, putting taxpayers on the hook. During our investigation of our current Clark County District Court Judges we discovered that most of them work between 20 to 35 hours per week, that would also include their courtroom Marshals. Especially Family Court Judges. Clark County some of these same Judges take 3 to 24 months to render a decision putting your lives on HOLD! When they do their campaign to be reelected, ask them to prove their attendance. During the election campaign, 2020 don’t be fooled by television commercials or a common name that would mostly mean that attorneys and law firms that stand in front of these same judges are buying their verdict! Here is an easy fix, work 40 hours per week.